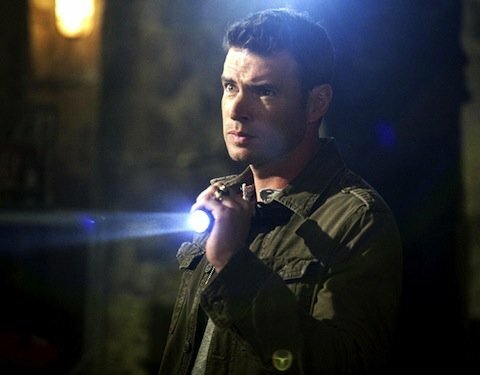 Among the newcomers joining True Blood for the highly anticipated fifth season of the vampire drama series is Scott Foley, whom some may know from Grey's Anatomy or The Unit, but I will almost always associate with his role as Noel in Felicity… and sometimes with Roman Bridger from Scream 3, depending on my mood. Some pictures of Foley in True Blood have made their way online, along with details on the nature of his character. While I truly hope Terry survives the season (Arlene's been through enough drama already, hasn't she? ), I have to wonder if Patrick stands any chance of making it out of Bon Temps alive. True Blood Season 5 premieres June 10th on HBO.